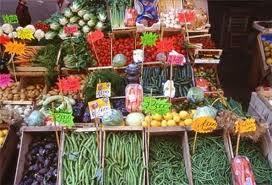 Fourth Sunday of every month hosts a variety of markets in the area around Arezzo. 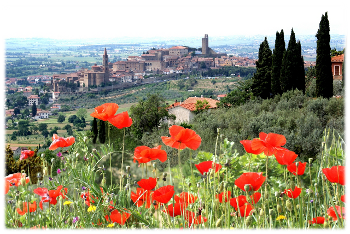 The beautiful, walled town of Castiglion Fiorentino, for instance, houses even up to two. In the central street of Corso Italia the stalls of the trade show “La Piazza del Collezionista”, the Collector’s Square, gather second-hand and small antique objects, as well as period clothes, jewellery and accessories. The aim is to underline the value that these objects have gained in time for their qualities of uniqueness and irreproducibility as well as being witnesses of the splendour of bygone times, having profoundly affected certain iconic traits of a particular historical moment of costume and design, influencing lifestyles and, more generally, art and culture. 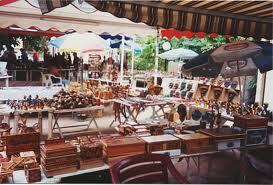 Simultaneously in the town council’s square takes place “Il Mercatale della Valdichiana”, the Valdichiana’s Market. Here typical seasonal food and wine products of this lovely valley are sold with the aim of shortening the chain of purchase. A special eye is on the quality of the products, on the equity of the prices and on the traceability of the same. A square full of colours and scents with stalls chock-full with virgin olive oil, cold cuts and salami, cheese, saffron, truffles, fresh vegetables and fruit, honey, bread and other bakery products, wine and vin santo, and much more. 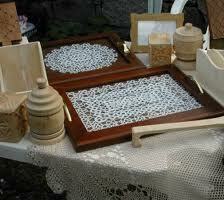 The ancient town of Sansepolcro’s monthly appointment, instead, is with the “Domenica del Tarlo”, The Woodworm’s Sunday. Evidently an antique trade market with objects of all kinds, it is held in Piazza Torre del Berta. Useless to remind you all that these fantastic outdoor markets are a very unique source of souvenirs , to cheer up those poor friends or relatives you’ve left behind at home. However, these assemblages are also very interesting places, offering a collection of items that range from nearly valueless bric-a-brac to inestimable works of art. And, if your Italian’s not good, why lose the opportunity of some fun communicating with sign language during the bargaining? Have a relaxing time strolling around these beautiful villages and discovering their hidden treasures. For those wanting to spend a holiday in this area we suggest some of our holiday accommodations in the province of Arezzo. Questa voce è stata pubblicata in Fairs and markets in Tuscany. Contrassegna il permalink.